Are you trying to grow a growth mindset in your students? With this Growth Mindset Bundle, your students will learn to overcome obstacles, accept challenges and they will understand that mistakes are okay, and often necessary to be successful. 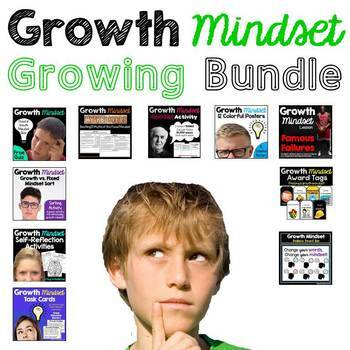 The 10 Growth Mindset resources in this bundle are reduced by 30% of the original cost!